The following obituary was taken from the Beckley Post Herald dated, August 31, 1985. Meadow Creek - Donald K. (Donnie) Gwinn, 74, died Friday at 8 a.m. at home after a long illness. 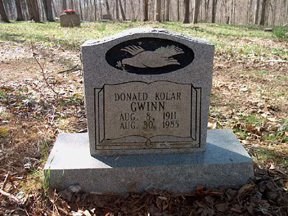 Born Aug. 8, 1911, at Meadow Creek, he was a son of the late William Abraham and Fannie Alice Richmond Gwinn. 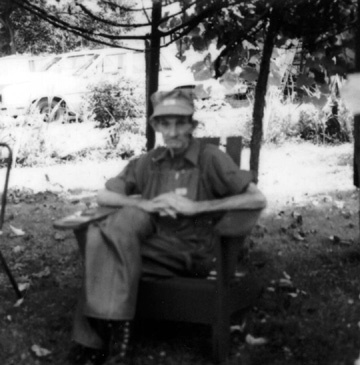 Mr. Gwinn was a lifelong resident of Meadow Creek and was member of the Meadow Creek Baptist Church. Survivors include two brothers, Clinton Gwinn of Barboursville and Herbert Gwinn of Lakeland, Fla.; four sisters; Edna Gowin of Lakeland, Vera Cole of Chic Kamauga, Ga., Opal Morrison of Huntington and Louise Bailey of Meadow Creek.